Kim is a dedicated real estate professional that enjoys working with clients and providing outstanding service. 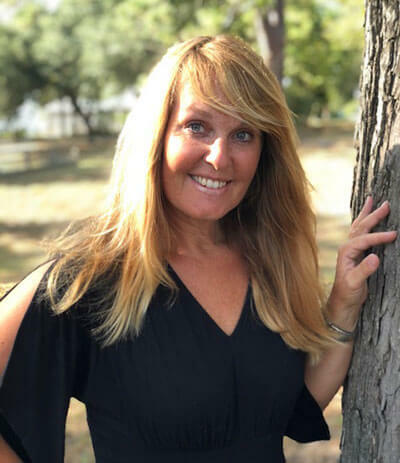 She combines her passion for sales and her commitment to the community with her personal attention to you, whether you are looking to buy or sell. She appreciates the privilege of serving her clients and future neighbors and loves celebrating their successes. 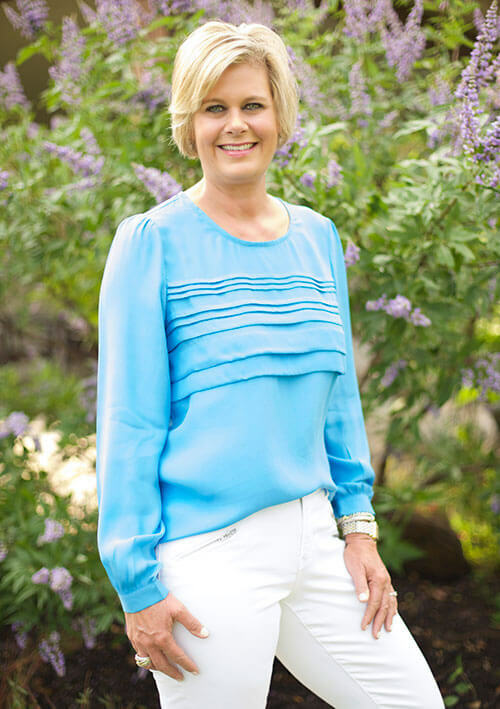 After growing up in Bellville, Texas, graduating from Bellville High School and attending college, she and husband Steve made Bellville their home. Together, they have raised two great adult children, Jordan and Brady. After a 22 year career teaching, she fell in love with her second career in real estate. 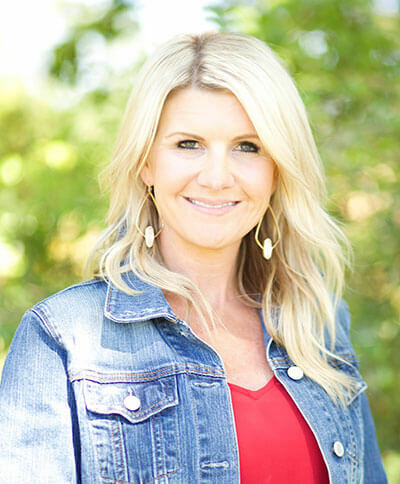 Kim’s knowledge of Austin County, Washington County, and the surrounding areas, along with an extensive network of community people give her the edge when assisting buyers and sellers. I would like to take this opportunity to introduce myself to you. My name is Bill Johnson. I was born and reared in Bellville, Texas, and have been a native of Austin County most of my life. My wife and I have three grown children and a number of precious grandchildren. I am a graduate of Bellville High School and Texas A & M University, receiving my Bachelor degree from Texas A & M University, School of Business, in the field of Marketing in 1966. My real estate career began in 1967 with a Texas Real Estate Salesman’s License. I acquired a Texas Real Estate Broker’s License in 1970 and founded Bill Johnson and Associates Real Estate Company. From 1970 to February, 2016, I owned and operated the company. In February, 2016, I sold the company to Kim and Steve Zapalac, who will continue to operate as Bill Johnson and Associates Real Estate Company. I will function as the Broker of the company and continue to list and sell Texas real estate for Kim and Steve. As in previous years, we will strive to enhance our professional knowledge and services so that we are always assured of offering our Sellers and Buyers the very utmost in professionalism. training, leasing, and sales of bird dogs for clients across the United States and abroad. Ian was born and raised in Austin County and has Texas roots that start with Stephen F Austin’s “Old 300” settlers. 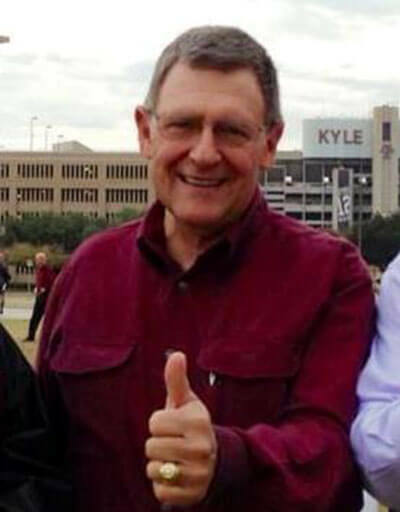 He attended Bellville schools and graduated from Texas A&M University in 1975. His business career began with the local radio station as news reporter. He later joined the Bellville Abstract Company as clerk and escrow officer. In 1978 he entered banking with the Austin County State Bank and also became licensed to sell real estate under the Bill Johnson & Associates Real Estate Company. Ian moved to First Savings Association of Brenham in 1983, serving as the Bellville Branch Manager. 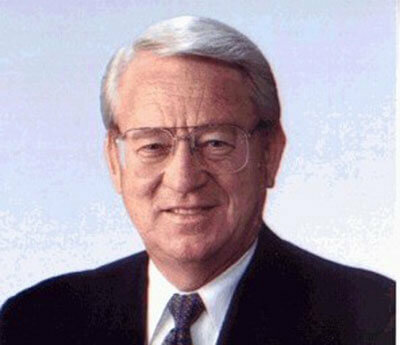 First Savings was later purchased by Guaranty Bank in 1990 and Ian remained as manager. He also was a licensed annuity and securities representative for Guaranty Brokerage. 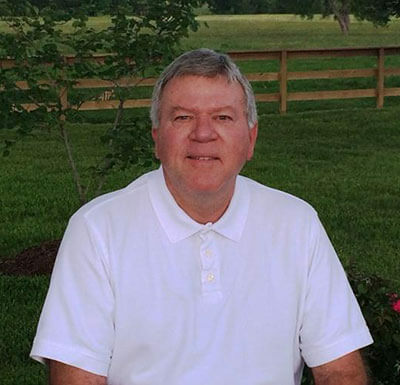 After more than 28 years in banking, investment, and real estate related professions, Ian went into full time real estate practice in 2004 with Bill Johnson & Associates Real Estate Company. Bader married Becky Finch in 1979 and they raised two sons, Reid and Will. Bader’s long term experience and personal commitment to professionalism and service to his community makes him uniquely qualified to market your real estate. 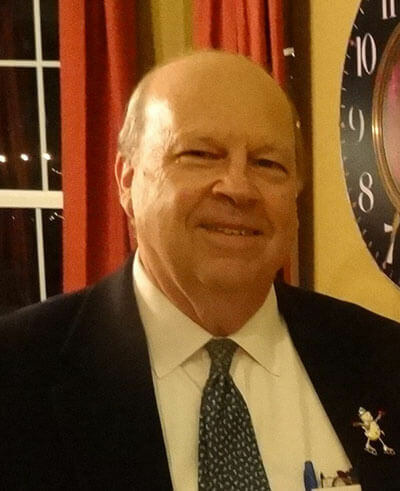 Ian has been active in numerous community activities, serving as President of the Bellville Lions Club, Bellville Chamber of Commerce, and Bellville Library Board. He has been involved in the Austin County Veterans’ Monument Board, Texas A&M Club of Austin County, Agri-Life Extension Leadership Advisory Committee, Austin County Raising Academic Performance Board, Bellville Parks Board, LCRA Leadership Program, Texas Scholars Program, Bellville Historical Society, Bellville Little League, Bellville Youth Soccer, Bellville ISD Long-Range Planning Committee, St. Mary’s Episcopal Church and many other civic activities. I grew up on a farm in Kentucky, and was educated at Berea College and The University of Florida. I spent over three decades with Exxon and have lived in many parts of the country, but about half of my career was based in Houston, Texas. I bought my first country property, near New Ulm in Colorado County, in 1975, and have owned property in the area continuously since that time. 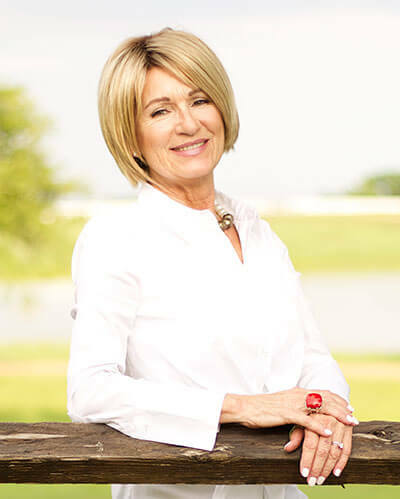 Today I specialize in helping clients find their special place in the Texas country, whether it is a large working ranch, or just a weekend place to relax and play. I am also active in helping my neighbors effectively market their property when they are ready to sell. For several years I owned a registered cattle ranch at Frelsburg, in Colorado County, and have developed a deep appreciation for this area and its people. I welcome the opportunity to discuss your real estate needs and desires. Land is my specialty. I am an Accredited Land Consultant, ALC, and a member of the Realtor’s Land Institute. Just a short statement to introduce myself. I am a graduate of Texas A & M University, Class of 1972. I have lived in Bellville since 1975 and have two children who graduated from Bellville High School. I served on the Bellville I.S. D. School Board for six years from 1983 to 1989. From 1975 to 1996, I was employed locally as President of the Federal Land Bank Association of Bellville. Over 40 years of banking and real estate experience has proven very beneficial in assisting my customers in the buying and selling of real estate. I have been a licensed Real Estate Agent in Texas since 2000, and joined Bill Johnson & Associates in 2002. My experiences growing up on a ranch in South Central Kansas have created my desire to specialize in Farm and Ranch Real Estate. After living in Oklahoma, Argentina, the United Kingdom and Texas, I have chosen the Austin County area to be my home. Meander through the rolling hills of Austin, Colorado, Fayette and Washington Counties (long known as the “Houston Hamptons”) stopping along the way to shop, eat and learn about the history of the area, and you will understand my passion for our community. The quality of life and relaxed pace of living here, in addition to having the excitement of Houston, Austin and San Antonio in a day trip, is the ultimate living experience for my family. I am a person of strong drive, integrity and I won’t make promises I can’t keep. I won’t stop working to accomplish a goal, and I will listen with genuine interest and work diligently on your behalf, whether you are buying or selling a property. References are available upon request. 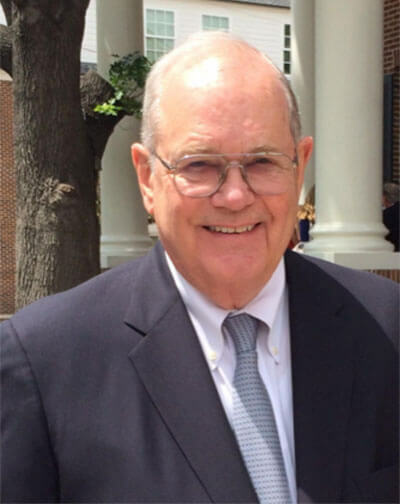 For most of his career John worked in-house for as a Certified Professional Landman negotiating joint ventures and managing merger and acquisition activity for large independent oil and gas companies. John and his wife Beverly, a retired teacher, have owned a small farm in the Industry/Nelsonville area since 2008 where they raise cattle and enjoy country living. They are both graduates of Texas A&M University, are members of the Nelsonville Brethren Church and the Bleiblerville Volunteer Fire Department. They have twin daughters and seven grandchildren. 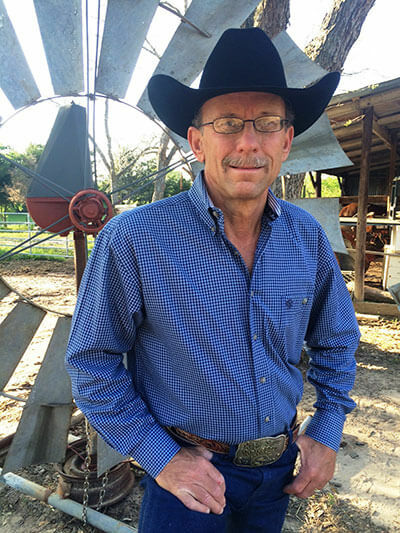 John is an active member of the National Association of Realtors, Texas Association of Realtors, South Central Board of Realtors, American Association of Professional Landmen, and the Houston Association of Professional Landmen. Tiffany was raised in Industry, Texas, graduating from Bellville High School, and then earning her Bachelor of Arts from the University of Texas at Austin. After years of travel, Tiffany and her husband John decided to move to Austin County, so their four children could grow up living closer to their grandparents. It is only fitting that Tiffany pursue a career in the housing industry. She grew up at “The Shop,” better known as P&S Building Supply, where she watched her parents, Everett and Sandy Schmidt, assist customers in the building process; and where she saw her grandfather, Eddie Pilcik, run his successful home construction business. Not only is Tiffany an agent, she and John enjoy bringing life back into neglected and out dated properties. There isn’t a house in too bad a shape for these two, they like the challenge! Tiffany welcomes the opportunity to find the perfect property for buyers, and assist in helping sellers receive top dollar in their transaction. She might not have all the answers yet, but she will get them for you. She prides herself in giving excellent customer service throughout the entire process. Bill has lived an active professional life in small business and in corporate America. His background in Agribusiness, Farming, Ranching, Machinery and Finance has been the core of his training for several years. 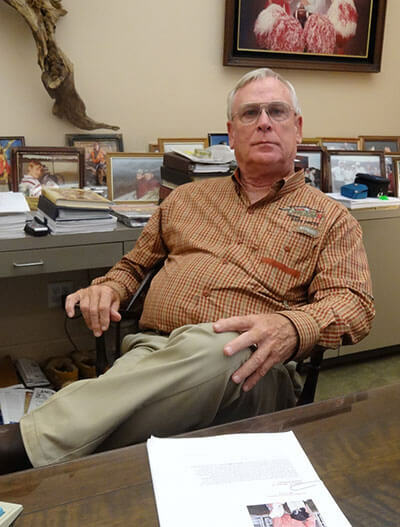 He is accredited in Livestock and Machinery appraisals with International Society of Livestock Appraisers and American Society of Farm Equipment Appraisers. He has been dealing with real estate since 1996 and is proud to be associated with Bill Johnson and Associates Real Estate as a full time Realtor. His wife Barbara has been an independent full time Real Estate Appraiser/Broker for the past 25 years. He has one daughter and three grandchildren. The Real Estate business has been good to his family and they welcome your support. After growing up in a ranching family in Coleman and Shackelford Counties, I graduated from the University of Texas with a degree in Accounting. I began my business career with Arthur Andersen & Co., reaching the partner level before leaving to begin a nearly 40-year career in the oil and gas industry in Houston. I served as a cofounder and partner in Sandefer Oil and Gas and, following our sale of the company, as President and a Director with EXCO Resources, Inc. Since retiring from EXCO, I have served as a director or consultant to companies and investors in the industry. In the past, I have purchased property in Washington and Austin County and developed a working cattle and cutting horse operation. I became very active in raising and competing on cutting horses and raising registered F-1 Brahman/Hereford cattle. I was very active in the local community and in the agricultural arena for a number of years. I recently joined Bill Johnson and Associates Real Estate as a part-time Licensed Sales Agent. My goal is to primarily serve as a buyer’s representative for farm and ranch properties with potential buyers in Houston. I hope to also assist buyers who are new to country property in home site selection, locating barns and other infrastructure on their property and laying out pens, fences, water wells, etc. Heather Novicke exemplifies integrity, energy, and perseverance in both her personal and professional life. She chose a career in real estate because of the relationships that develop with each client transaction. Her dedication to helping her clients find the ideal home is what motivates her passion as a real estate specialist. Heather grew up in Cypress, Texas. After graduating from college with a BA in Education, she knew that she wanted to raise her family in a small town. She and her husband, Josh, chose Bellville, where she taught in the local school district for 18 years. They have three children, all of whom are involved in Ag and 4-H, as well as multiple athletic programs. She is proud to call Bellville home, and hopes to help your family do the same. Arlie was born and raised in Bellville. After graduating from Bellville High School and then college, he has continued to make Bellville his home. With over 36 years of service, he retired as a superintendent with the City of Bellville in 2018. He and his wife Terri, an educator and real estate agent, were married in 1983 and have three children and one grandchild. Arlie and his wife are members of the Bellville United Methodist Church. He has been involved in many civic organizations, including serving as a Bellville Volunteer Fireman for over 38 years. 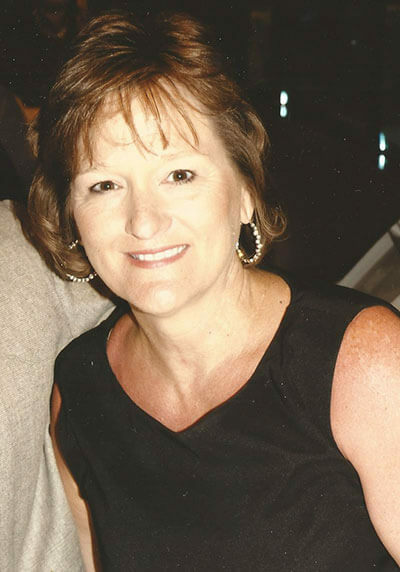 Arlie has been a licensed real estate agent with Bill Johnson and Associates Real Estate Company since 1988. As a lifelong resident of Bellville and Austin County, he is eager to help you make the right decisions when it comes to buying or selling a home or property. 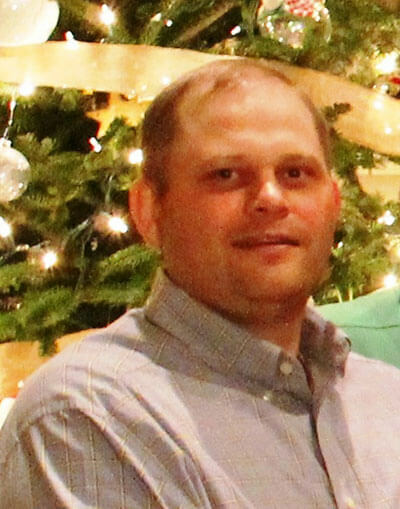 Arlie can be reached on his cell at 979-885-9198 or through his email address: adkendrick56@yahoo.com. Sharon was born and raised right here in Bellville, Texas. After graduating from Bellville High School, she attended college and received a BA in Education and returned to her hometown where she currently teaches and coaches children in the community. 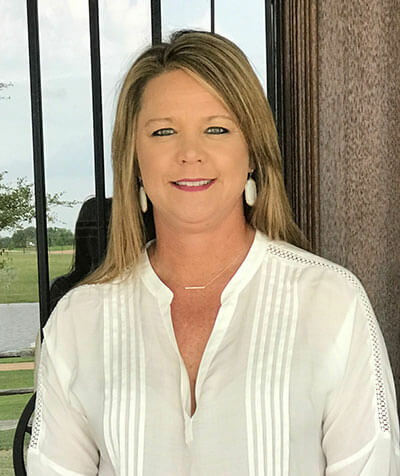 Her husband, Troy and their two children Justin and Jordan have made their home on the family’s ranch which has been recognized by the State of Texas Family Land Heritage Program as a 150 year old family farm. This is something she is very proud of. I was born in the Hill County of Llano, Texas and raised on a working cattle ranch operation that has been in my family since the 1800’s. After graduating from high school, I attended Durham Business School in Austin, Texas where I earned my credits in Business Administration, Bookkeeping and Paralegal Law. After working 5 years with Glastron Boat Company, I married Teddy Burnham and moved to his hometown of San Saba, Texas. There, I worked for Senterfitt, Adams, Miller & Childress, Attorneys at Law as a paralegal and land Title Examiner. With that experience I was hired by RSISD as Tax Assessor/ Collector and Bookkeeper. On weekends I attended Real Estate School in Austin, Texas and became licensed in 1981. In 1987 my husband and I moved to Bellville, Texas to establish a cattle ranch operation along with a custom pecan harvesting business. 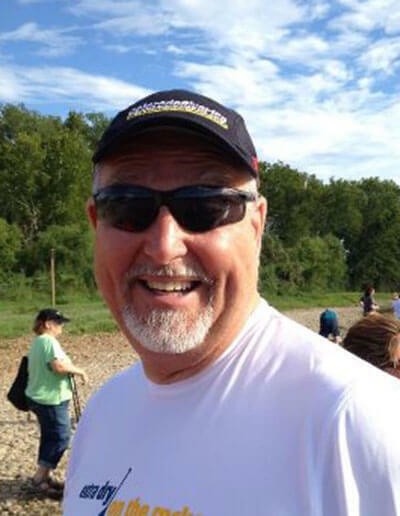 In 1993 I joined the Bill Johnson Real Estate team as a licensed agent specializing in farm and ranch properties. I am here to assist you in searching for that perfect farm or ranch property that will fit your goals. Richard L. Carrell is a retired senior partner of Fulbright & Jaworski in Houston. He is a graduate of Washington and Lee University and the University Of Virginia Law School. 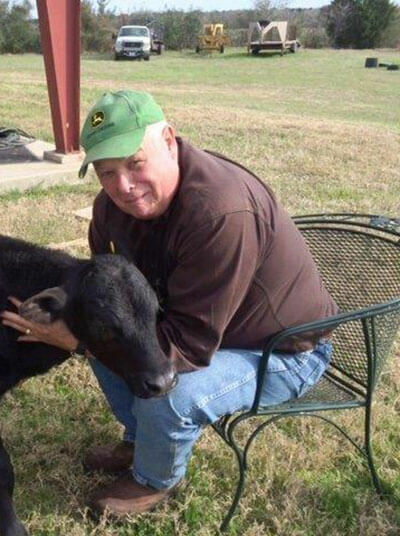 He and his wife, Bettie, have enjoyed their III Ranch just north of Bellville for more than 40 years. My name is Bo Brandt. I was born and raised right here in Bellville, Texas on the farm and ranch operation that my family has owned since the early 1900’s. After graduating from Bellville High School, I earned a degree in Agricultural Economics from Texas A & M University. While attending college, I started focusing my career path towards real estate and became a licensed real estate agent with Bill Johnson and Associates Real Estate Company. Since 2002, I have been actively assisting sellers and buyers with their real estate needs. 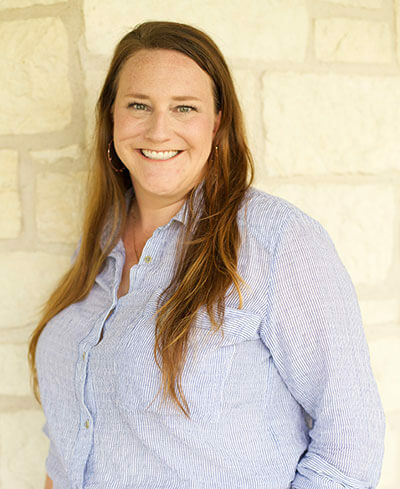 My name is Brooke Mahon White and I was born and raised in Bellville, Texas.I have a BBA in General Business from Sam Houston State University. After college I worked for a property tax consultant and a title company, which led me to pursue real estate. After obtaining my license I began working with my dad, Agent Cliff Mahon. I gathered experience and knowledge that you just can’t find in a classroom. I currently live in Bellville with my husband, Matt, and our children, Sadie and Clark. Terri was raised in Bellville and graduated from Bellville High School. She holds a Bachelor of Science Degree in Education and a Masters of Education Administration. She currently works part-time for Faith Academy of Bellville as the Elementary Dean of Academics. 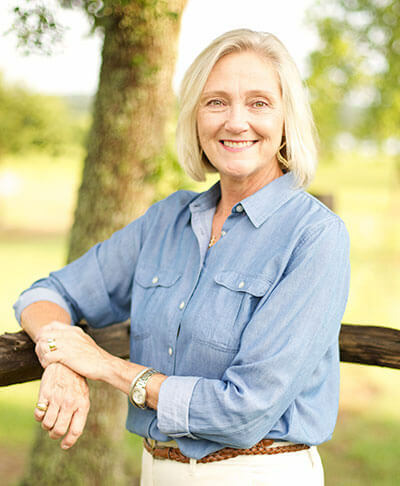 Prior to joining the staff of Faith Academy, she worked for the Sealy Independent School District for 31 years where she retired as principal of the junior high in 2015. Terri and her husband Arlie have three grown children and a three year old granddaughter. 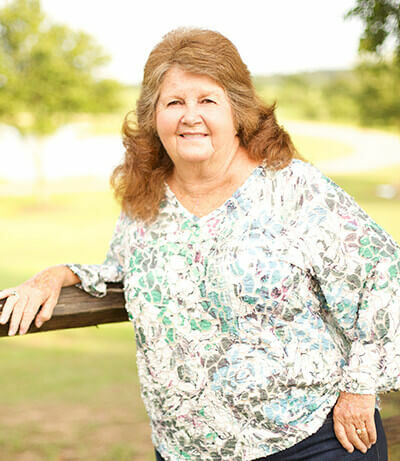 Terri has been active in such civic organizations as the Austin County Child Protective Services Board, the Bellville Volunteer Fire Department Auxiliary, and Austin County Crime Stoppers. Whether you’re buying or selling property, Terri looks forward to providing the personal attention that you expect and deserve. As a part-time administrative assistant Vicki provides support to 17 agents, the Broker and Company Owners, performs duties relating to the listing and marketing of properties offered for sale, advertising, manages office products and equipment, as well as telephone receptionist and other secretarial duties. She has been with Bill Johnson and Associates Real Estate Company since September, 2005. 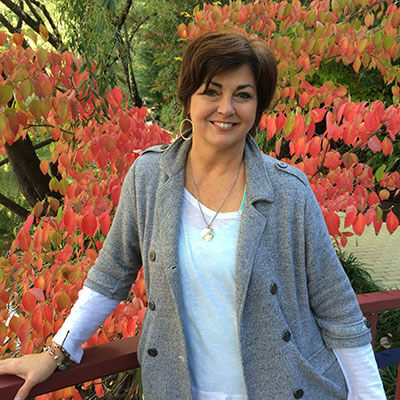 Lori comes to us after teaching for 30 years and we couldn’t be more pleased that she has joined the team at Bill Johnson and Associates Real Estate Company. Lori will be sharing in the Administrative duties at our Bellville office. She is a lifetime resident of Austin County, growing up in the Bleiblerville Community, attended Texas A & M University and began her teaching career. Lori and her husband, Steven, have raised their three grown children in Bellville and have been very active in all aspects of the community.